Building on its predecessor, Alien Crush, Devil Crash now involves a three-screen high pinball table that scrolls (instead of flip-screen). 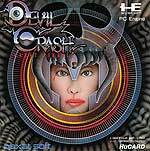 The setting is very much gothic and demonology, with many moving targets and single screen mini-games for variety. The centre part of the table also includes the head of a woman that gradually transforms into a lizard. The sequel to Alien Crush manages to surpass the original in every way. The table is so well designed that repeated play never gets boring - there are plenty of targets to aim for, loads of little critters scooting about the place and the sub games break up the action well enough, even if they aren't overly exciting. Presentation is top notch and the soundtrack is a masterpiece. It may only be a single tune playing in the main game (as opposed to Alien Crush's choice of two), but you’ll never want to turn it off. Sound effects are excellent with some nice sampled grunts and a spooky laugh. This is one of the best, if not the best, pinball game on any console ever. 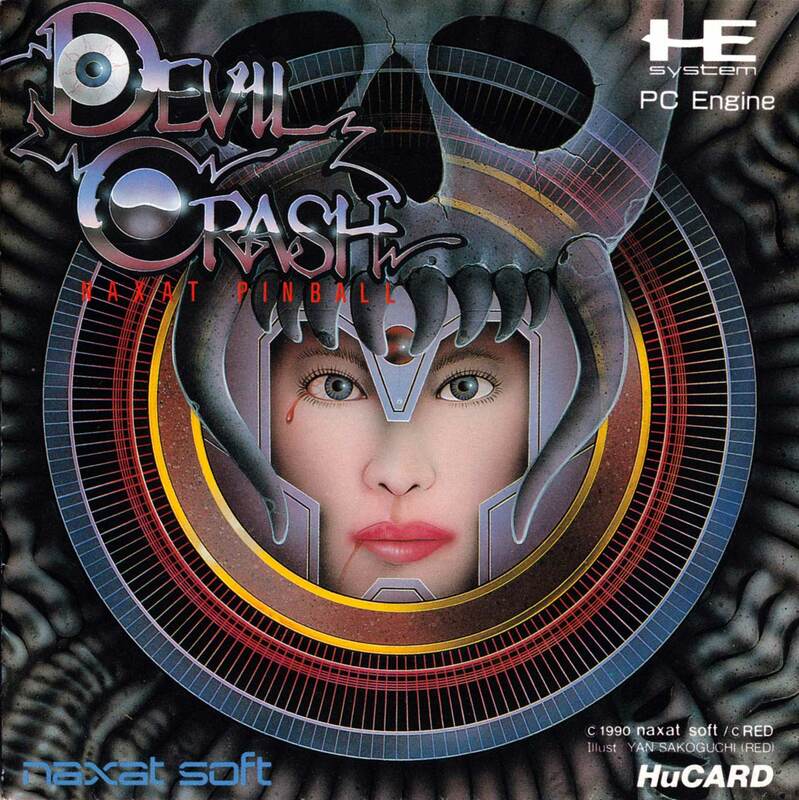 Naxat's Devil Crash is a widely acclaimed masterpiece. It wouldn't take long for more advanced ball physics to appear on other platforms, but in terms of playability, and sheer inventiveness, it's easy to argue that there's never been such a leap in terms of video pinball. 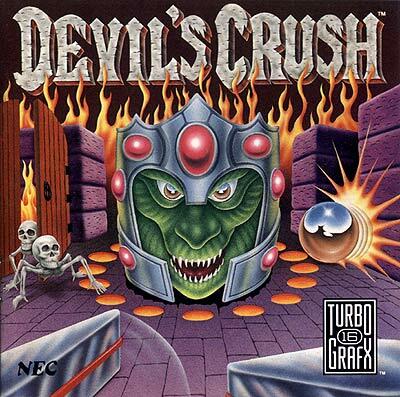 Devil Crash was THE pinball game for a long time, and remains very playable to this day - and the PC Engine version is the definitive version. Graphically, it's a very well presented gothic theme, music is very good etc. This is one of those titles that evokes the "just one more turn" kind of feeling. Classic. ENDING SEQUENCE: Enter your password as DAVIDWHITE.